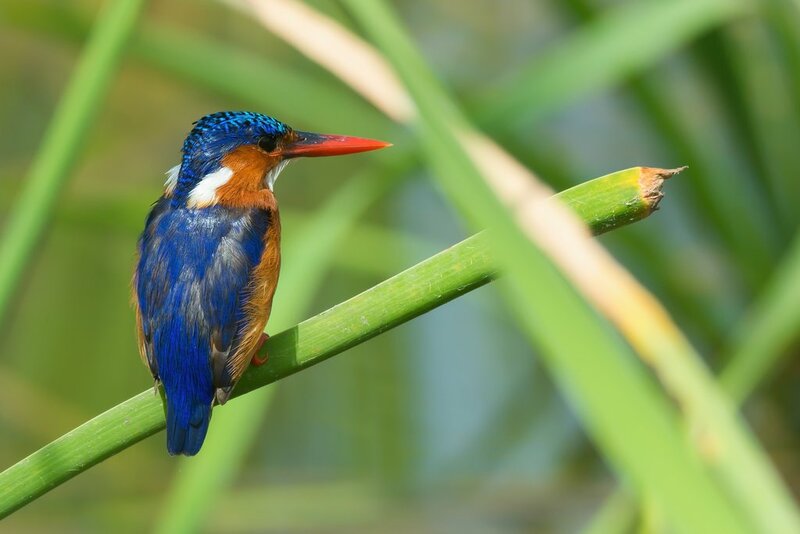 The Gambia is a sought after destination for many reasons, and its impressive array of over 500 bird species is just one of them. 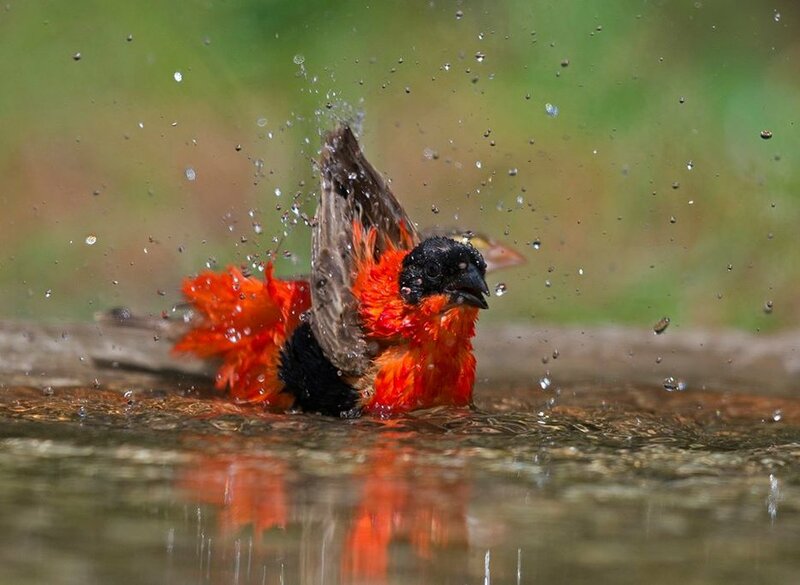 Enjoy a week of daily birdwatching excursions led by a local expert, all while staying at an oasis-like eco-lodge in the middle of the action. 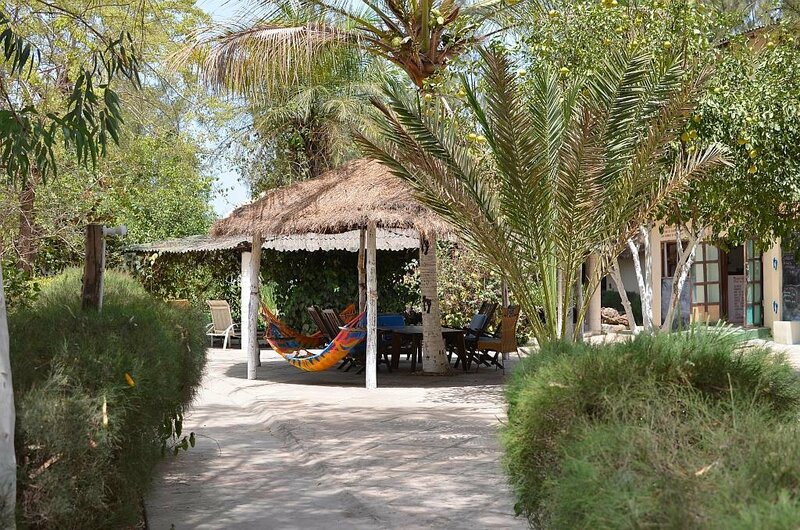 Arrive at Banjul International Airport and transfer to your eco-lodge, where you'll be staying for the week. Meet the staff who will be looking after your needs before settling in to enjoy a cool drink and relax before dinner. Today you will get to know the area around your lodge better. Your guide will join you from early morning. This area is a paradise for birds, and it's possible to spot more than hundred different species in just a few days. 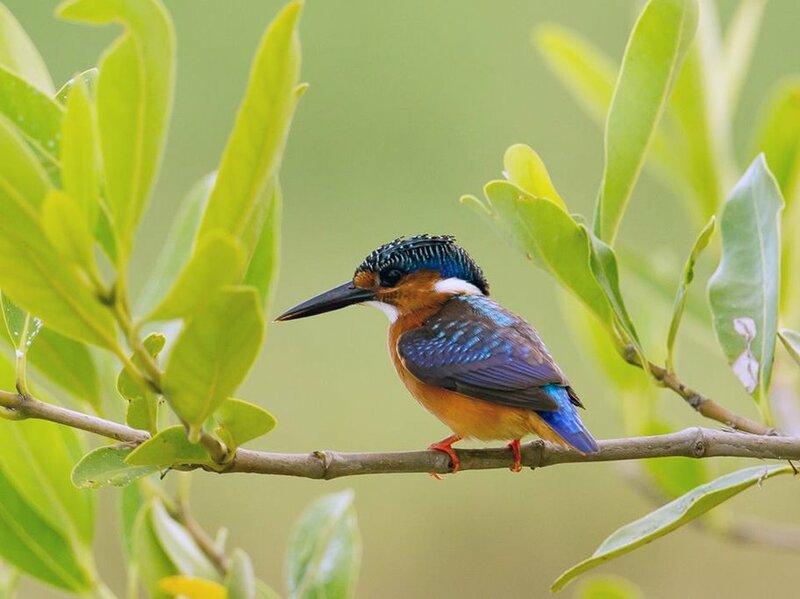 There are many species you may spot, including Pygmy Kingfishers, Grey Woodpeckers, Lizard Buzzards, Snowy Crowned Robin-Chats, Red Wing Warblers, Croaking and Singing Cisticolas. Another early breakfast before visiting three separate venues today. 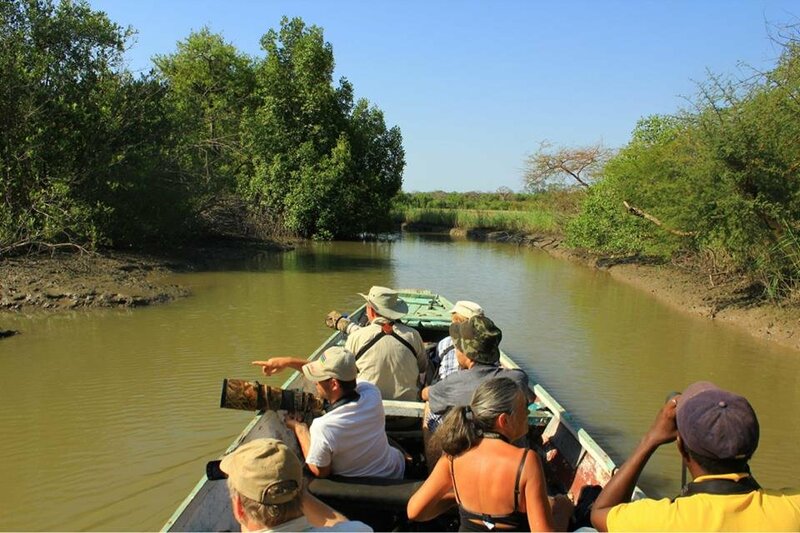 Tanji Bird Reserve is about 30 minutes away from your lodge, along the coast. Just 10 minutes further and you are in Tujering Woods. Next, visit Brufut Woods. At these locations, you can expect to see Black Crowned Tchagras and Ospreys, Yellow Crowned Gonoleks, Broad Billed Rollers and Abyssinian Rollers, as well as Purple Glossy Starlings and Violet Backed Starlings. Have lunch at a local restaurant, then back to your lodge for a nice evening of good food, wine and Gambian music. After an early breakfast, travel by car to Marakissa, approximately one hour away. Spend the morning here. Visit Darsalami Woods and Siffoe on the way back. 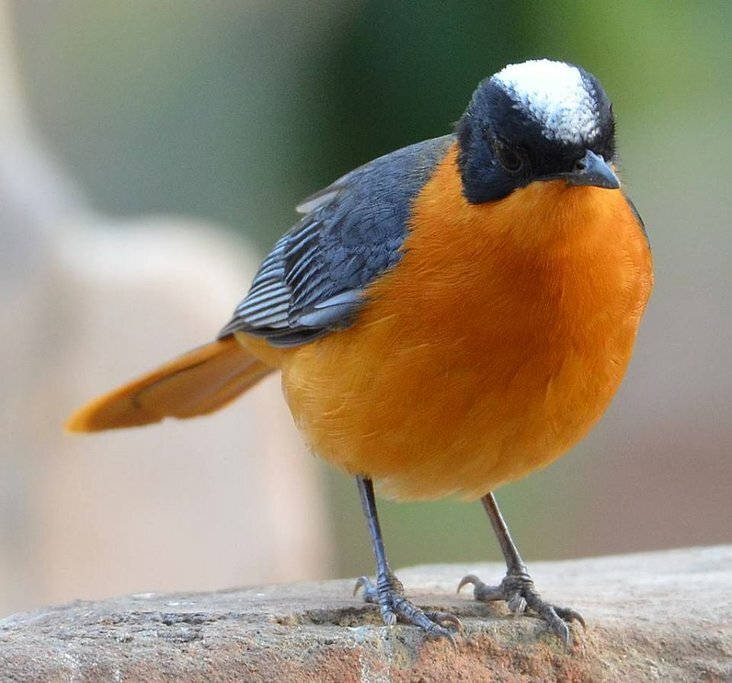 You'll likely see Sulphur-breasted Bush Shrikes, Exclamatory Paradise Whydahs, Wilson Indigos, African Blue Flycatchers, Yellow Shouldered Widowbirds, Northern Puffbacks, Woodchat Shrikes and many more species. Enjoy the rest of the day at your eco-lodge. This day is yours to do as you please. You can choose to return to one of the beautiful places you've already visited, or join the guide to the local village, Gunjur. If you need a cool down, perhaps a trip to the beach, or relax by the freshwater pool. Another early morning start with your guide, who will take you to Mandinaba Pirang Shrimp Farm, Faraba Bantang Rice Fields, and Bush Track. These are about a ninety-minute drive away. 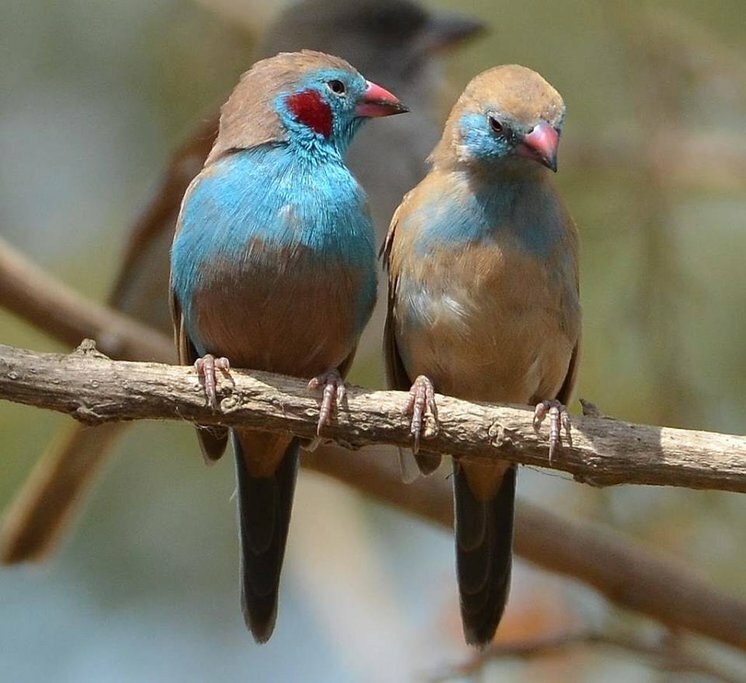 You can expect sightings of Quail Finches, Village Indigos, Pin-tailed Whydahs, Cut Throat Finches and many more. 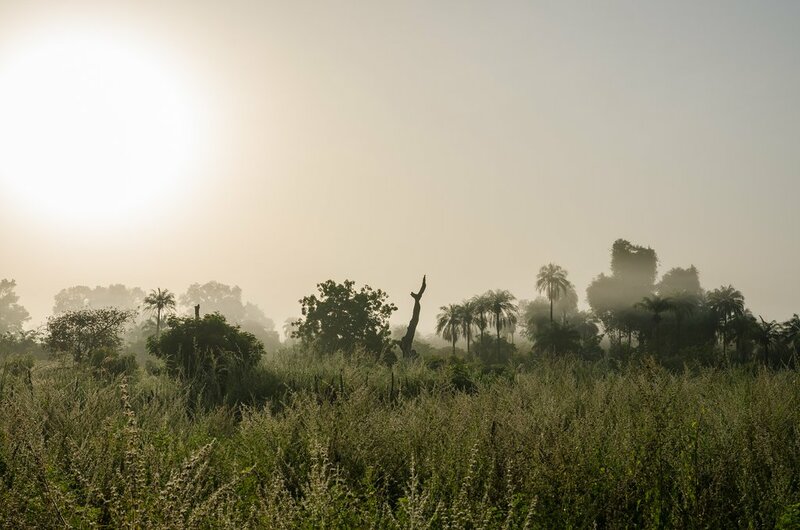 Set out early to reach Kartong and the Halation River, where you'll take a boat ride and look out for the numerous naturally occurring waterbird species, including pelicans. After a relaxing morning on the water, head back to the lodge. This will be your last evening, so enjoy the food, wine, and good company before preparing to depart the next day. How Many Days Should You Spend in The Gambia?